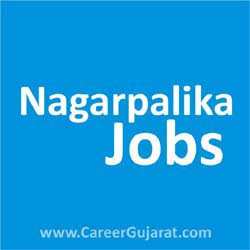 Kheda Nagarpalika, Kheda Published Recruitment Advertisement for Social Organizer (Samaj Sangathak) Posts. View More Information like Total Posts, Posts Name, Age Limit, Qualification, Salary, How to Apply etc.. are Given Below. Send Application to This Address : Chief Officer, Kheda Nagarpalika, Kheda. Applications Submission Last Date : 10 Days from the Date of Publication of Advertisement.